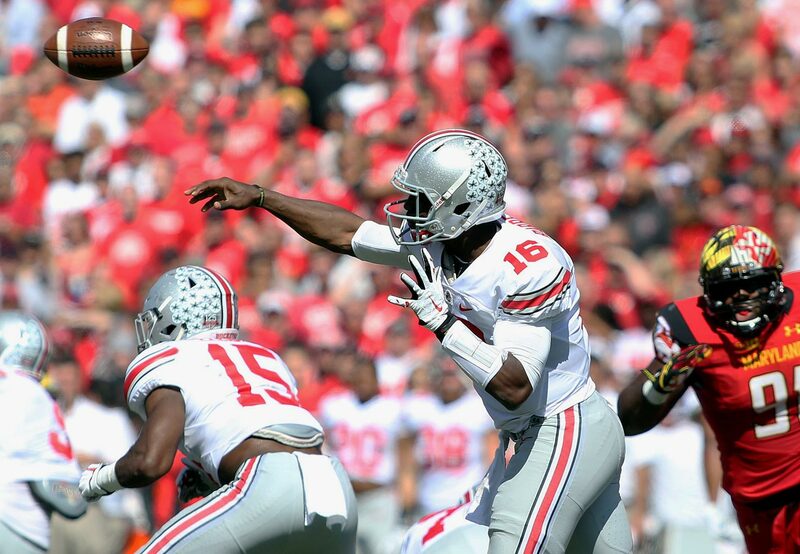 Three quarterbacks, only one starting spot: What comes next at Ohio State? 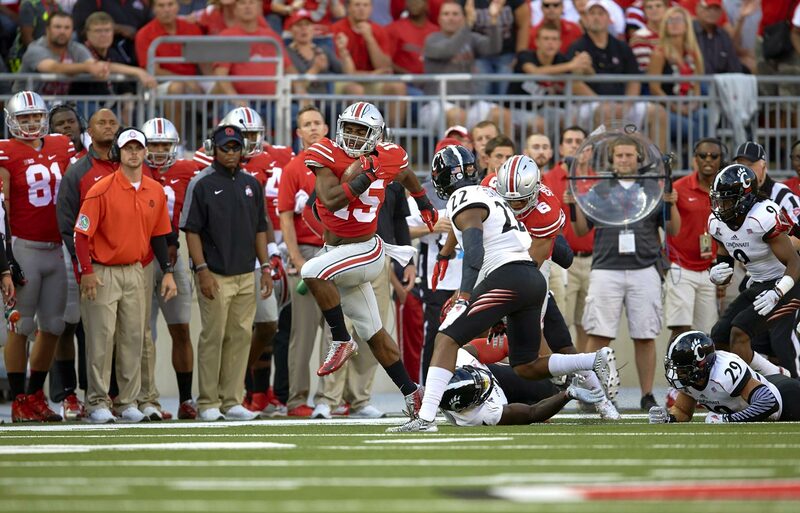 Ohio State QB situation: What comes next for Braxton Miller, J.T. Barrett and Cardale Jones? NEW ORLEANS -- Necks craned and cameras tilted as Ohio State emerged from the stadium’s bowels before Tuesday’s media day. Nearly 100 Buckeyes filed out, but two that didn’t created the most buzz. 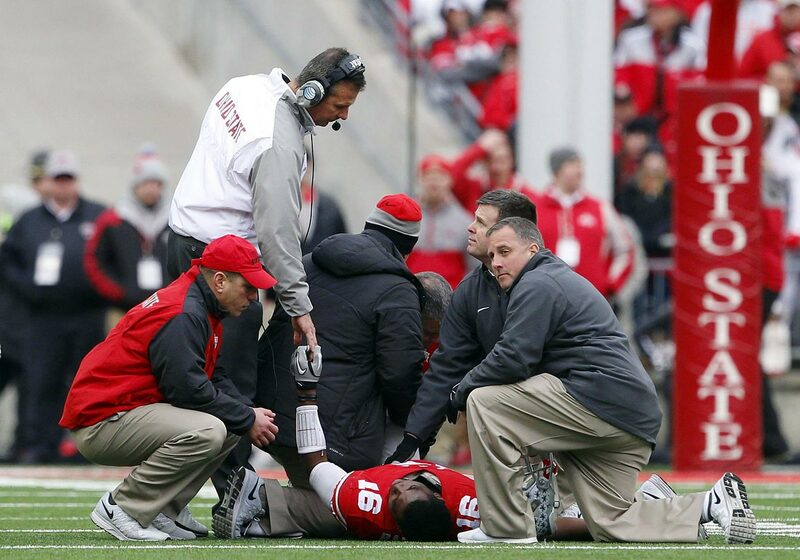 Injured quarterbacks Braxton Miller and J.T. Barrett both stayed in the locker room to avoid the media, an option available to them because they’re not playing against No. 1 Alabama in the Sugar Bowl. Miller and Barrett indicated to staffers they wanted to avoid questions about their health, future and potential transfers. Mostly, they didn’t want to be distractions. 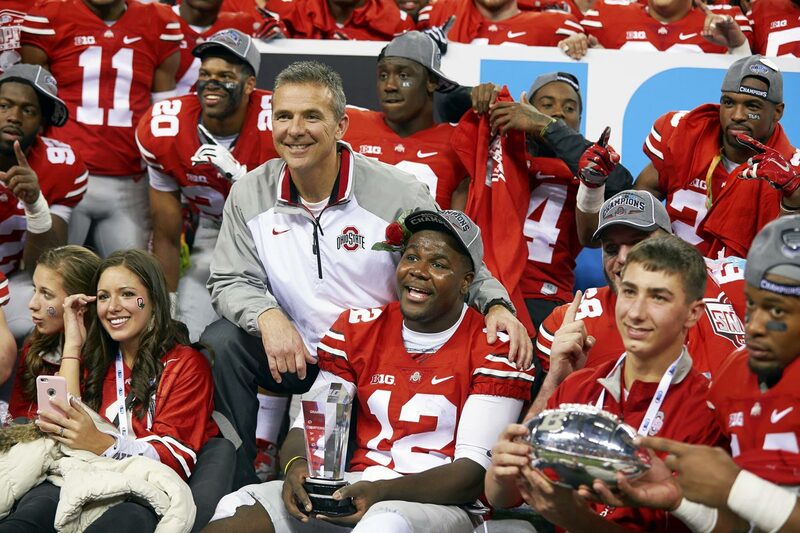 Whether Ohio State’s season ends on Thursday in New Orleans or on Jan. 12 in AT&T Stadium, there’s little doubt as to what the biggest offseason storyline in Columbus -- and arguably all of college football -- will be. With three talented quarterbacks -- Miller, Barrett and Cardale Jones -- the Buckeyes will face the ultimate first-world college football problem in the next few months. Miller won the Big Ten Player of the Year award in 2012 and '13. Barrett finished in the top five of Heisman Trophy voting. 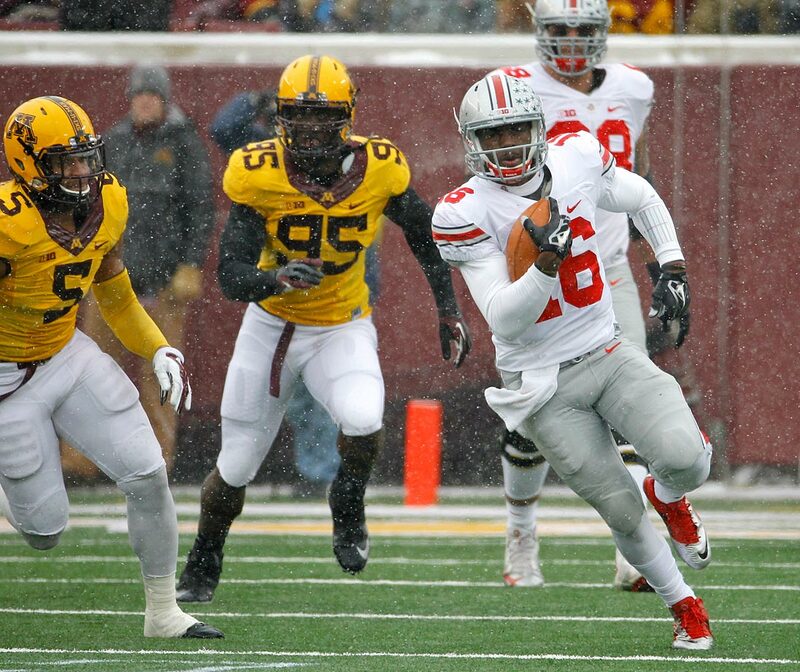 Jones led Ohio State to a 59-0 blowout of Wisconsin in the Big Ten title game. Only one can be the starter in '15. So, what’s next? Here’s a look at the candidates and their options. • The reality: Miller is hurt. 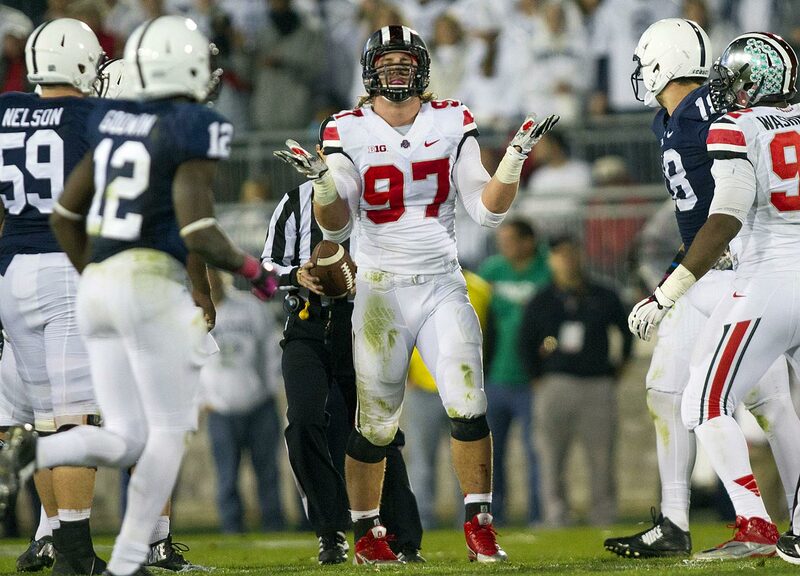 That’s the biggest question looming over this delicate Ohio State quarterback situation. The likelihood of Miller returning healthy to camp in August from two shoulder surgeries isn’t guaranteed, especially since Miller missed the entire 2014 campaign from the shoulder injury and nearly three full games in '13 because of damage to a knee ligament. Still, considering Miller's tender shoulder and injury history, assuming he will be back at full strength is a risk. • The options: While there will be speculation all spring that Miller could transfer, there are few in the Ohio State program who believe there is any chance of that. 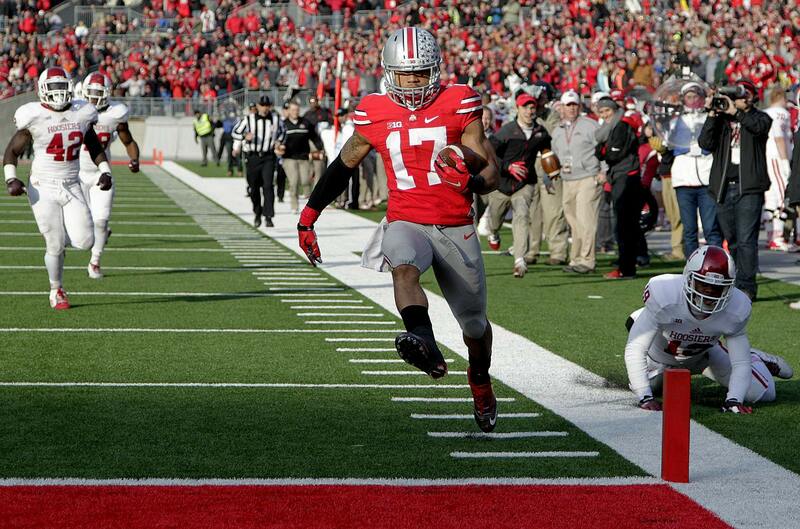 Buckeyes coach Urban Meyer reiterated that on Wednesday morning, saying: "I expect him to be back at Ohio State." Miller has graduated, which means he could take his gaudy résumé and high-end talent to any school in the country without sitting a year. However, the probability of a transfer is low for numerous reasons. First is his dedication to Ohio State: He has the team logo tattooed on his left shoulder. He is also an introvert, making it difficult to envision him jumping into a foreign environment. Things could change, but no one around Miller considers a transfer to be likely. What about a position change? This a more plausible scenario. Miller's shoulder issues are the biggest concern, but the declining interest in running quarterbacks at the NFL level is another. Miller has 4.3 speed and as dynamic a first step as any player in football. He could potentially play wide receiver in the pros for 15 years. (He has good hands, too.) As of now, though, this option isn’t even on the table. Miller’s identity is as a quarterback. That’s what he wants to play. • Best guess: Miller heals and wins the starting job for Ohio State next fall. 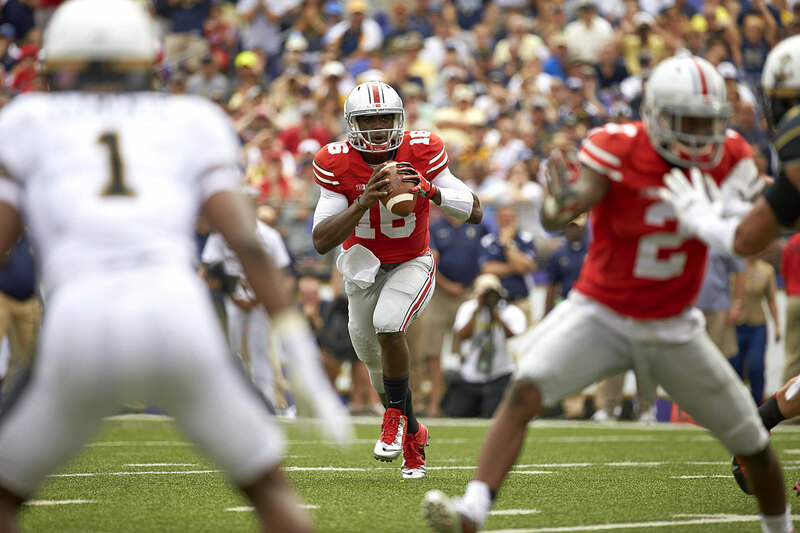 • The reality: Barrett, a redshirt freshman, is arguably in the most stable position of the three quarterbacks. Since he beat out Jones in summer camp -- barely -- and performed well enough to enter the Heisman mix, he should still be considered Ohio State’s quarterback of the future. Whether that’s in the immediate future or down the road in 2016, however, remains to be seen. • The options: Since he has already used up his redshirt year and established himself as one of the country’s best players, there is no reason for him to consider transferring. At worst, he waits a year behind Miller and competes with Jones for the job. Given the way Barrett threw the ball this year, there’s a chance he could also beat out Miller. While he’s not nearly the dynamic playmaker Miller is, Barrett's numbers this season stack up favorably to Miller's in 2013: Barrett threw 10 more touchdowns (34 to 24) and had a higher completion percentage (64.7 to 63.5). 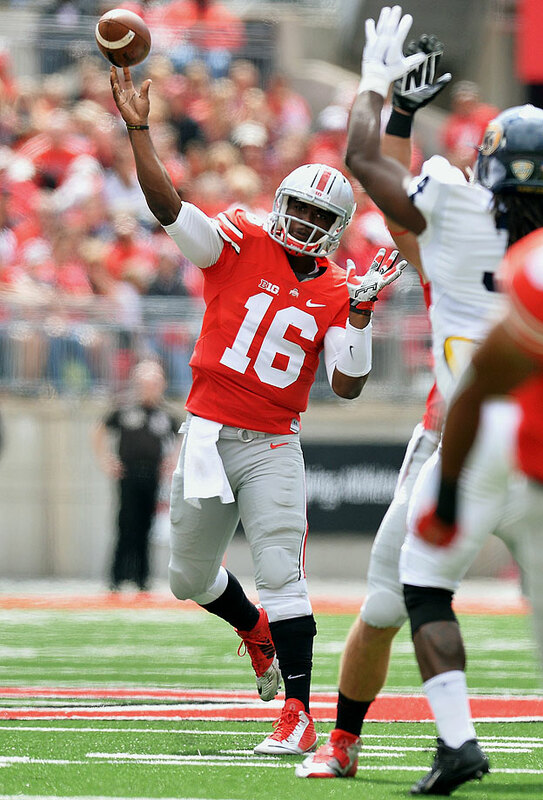 • Best guess: Barrett is the starter for Ohio State is 2016 and '17 and fights hard for the job next year. • The reality: No individual player has higher stakes in the Sugar Bowl than Jones. He’s auditioning for his future on the biggest stage imaginable. Jones already aced a similar test, ascending into the starting role in the Big Ten title game and leading Ohio State to a 59-0 rout of Wisconsin. The moment was a confluence of talent, serendipity and cold-blooded execution. 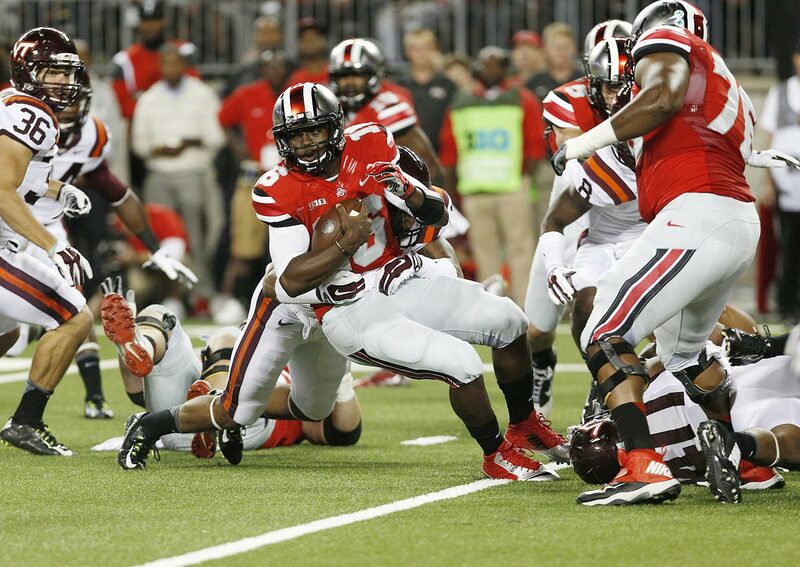 If Jones can duplicate it twice more, things could get even more complicated for the Buckeyes. It's hard to speculate until we see how the next game or two play out, though, as there is so little film on Jones. There is opportunity for Jones beyond the next two weeks. He’ll be Ohio State’s starting quarterback in the spring with Miller and Barrett out. That’s weeks of reps with the first team, something that Jones had over Barrett last spring as well. He is also a self-professed Ohio kid who, like many players from Glenville High in Cleveland, dreamed of playing for the Buckeyes. Expect no rash decisions. • The options: In talking with Jones and Ted Ginn Jr., who is in New Orleans for the Sugar Bowl, there is premium importance on Jones getting his degree from Ohio State. Any type of transfer likely wouldn’t come until after the 2015 season. If Barrett has completely won the job and Jones graduates on time, perhaps Jones would take the fifth-year transfer route. There would be no hard feelings on either side. But any thought of him dropping down a level before next season is not realistic, and sitting out a year to transfer would be foolish. 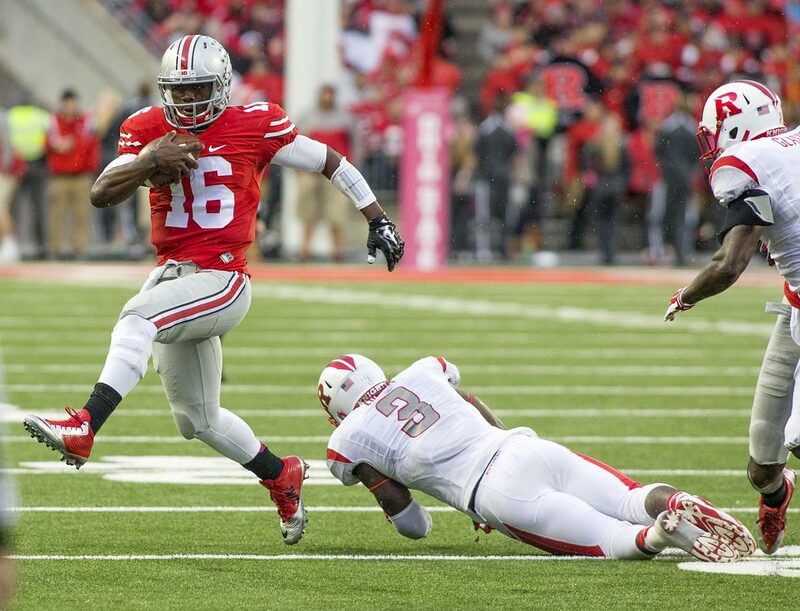 Jones will be Ohio State’s starter until the start of summer camp, when Barrett and Miller should return healthy. The tough decisions could come after next year. • Best guess: Jones sticks around through 2015, graduates and then evaluates his options. One thing co-offensive coordinator Tom Herman has stressed is that there’s no tension in the quarterback room. (Herman is leaving to become the coach at Houston, and the new quarterback coach could play a factor in this equation.) While bar debates will rage on and transfer rumors will float, the lack of animosity is a huge factor in all three potentially sticking around to fight for the starting job. For now, it appears that competition -- and the chatter about it -- will be the buzz of college football until next season kicks off.